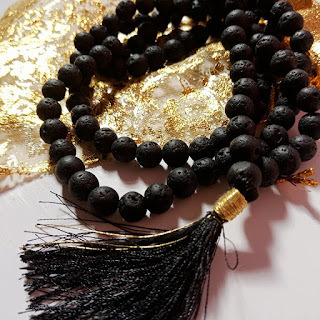 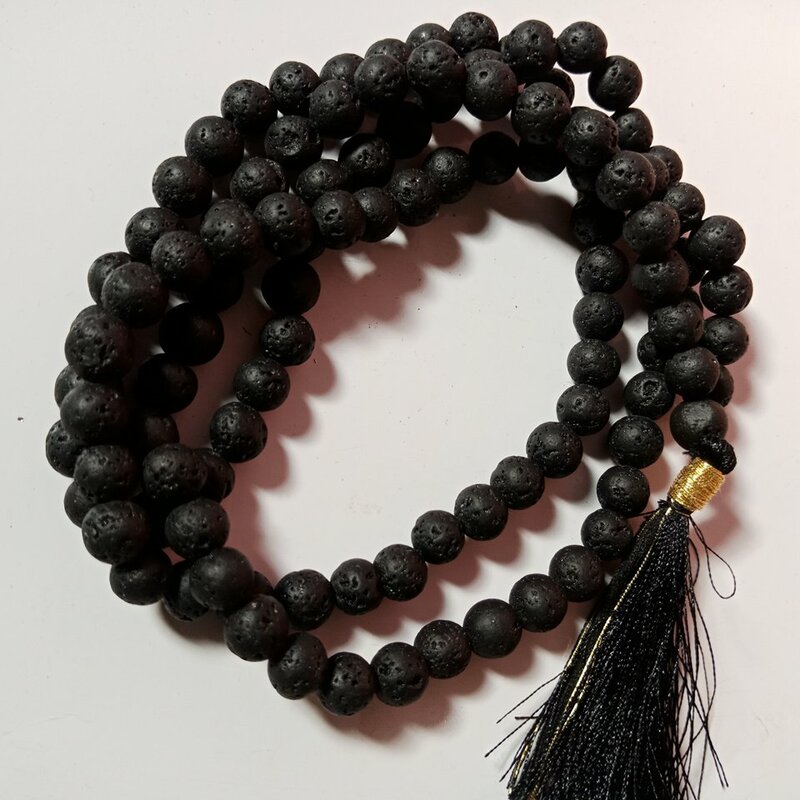 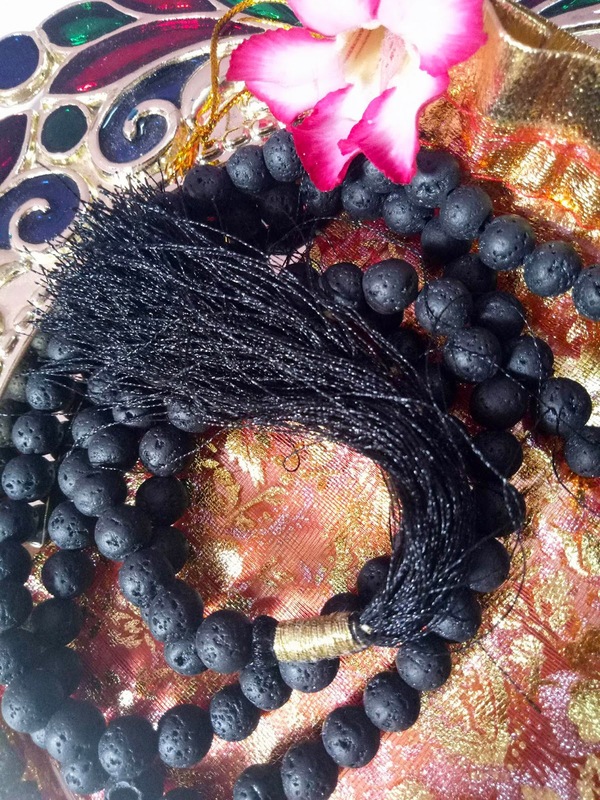 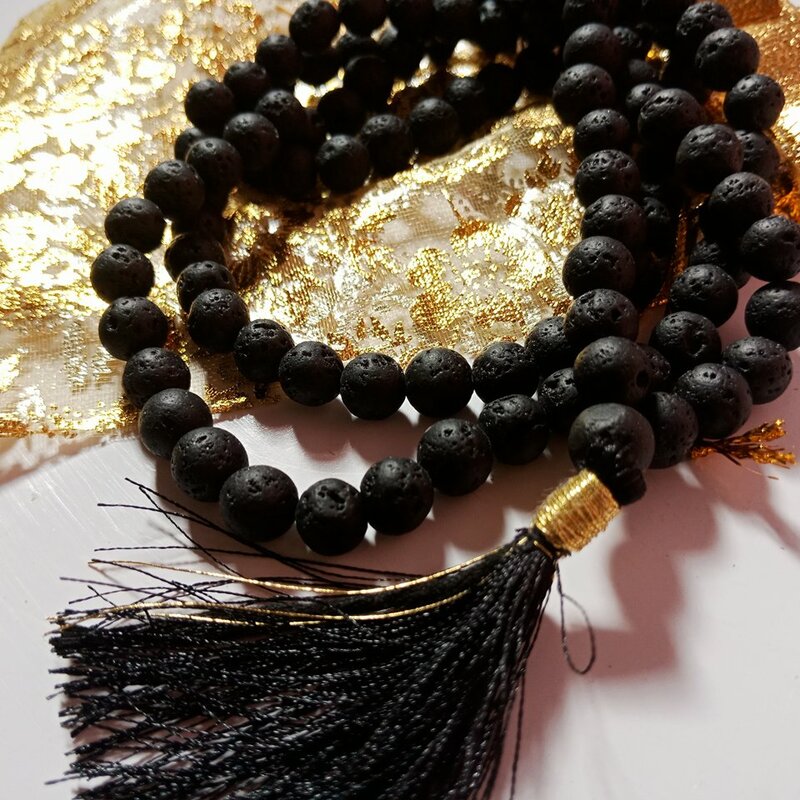 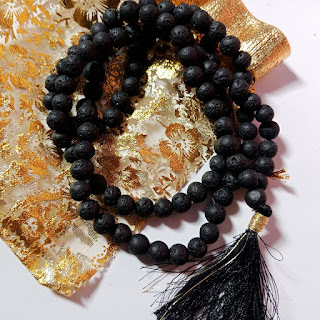 This mala contains 108+1 8 mm organic volcanic lava beads individually strung in waxed pure cotton black thread with gold and satin black tassels. 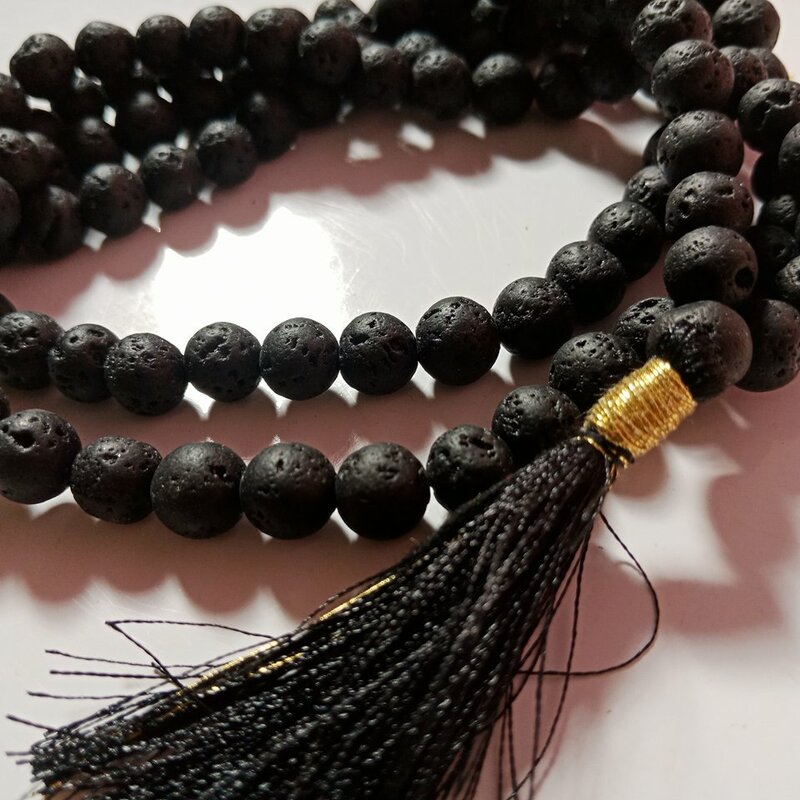 Lava stone comes from the core of the earth as a fiery brimstone that bubbles to the surface and then cools during a volcanic eruption. Once cool, it becomes porous and black, creating the beautiful black color and texture so many have come to love. This is known as basalt, and is mostly be found in the ocean. The moment you touch this mala, its vibration, texture and subtle volcanic ash/metallic fragrance will surely captivate your soul and offer you so much more as an element of this magnificent dimension.